Unique blend of fast drying linseed and natural oils that will not cloud, yellow or crack with age. 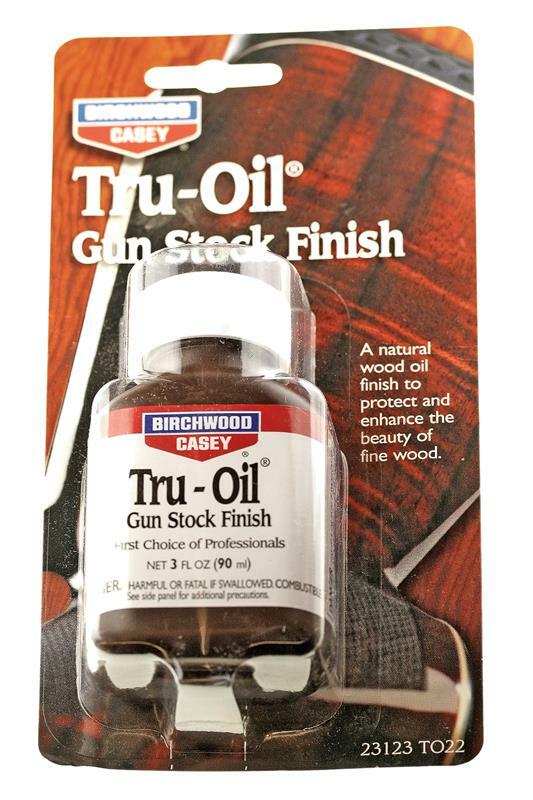 Protects and enhances wood with a clear, hard finish. Shipped UPS Ground Only. 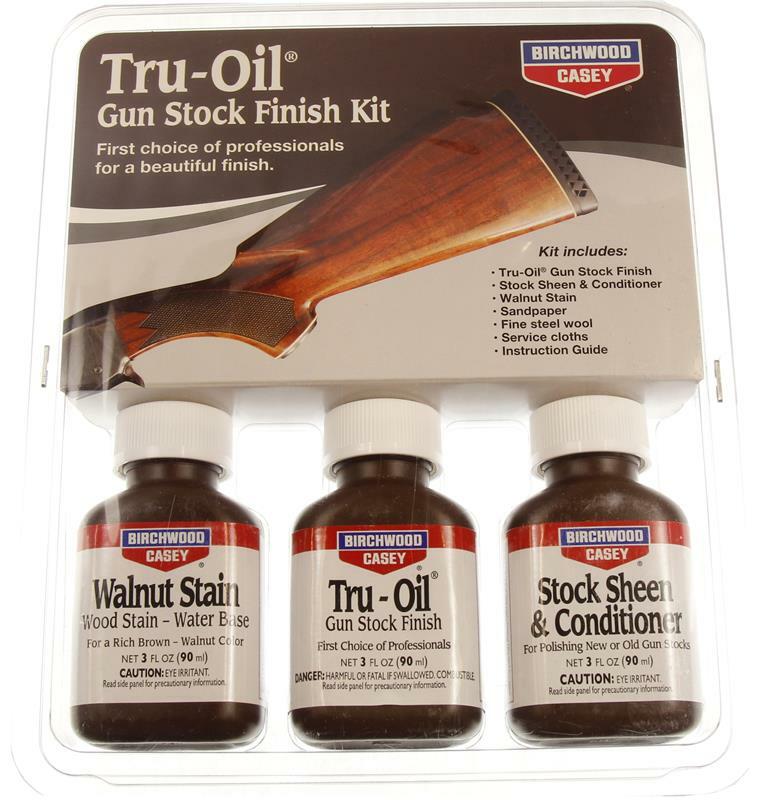 Kit includes 3 fluid ounce bottles of Walnut Stain, Tru-Oil® and Conditioner with garnet paper, steel wool pads, cloths and instructions. Shipment prohibited to AK, CA, HI. Cannot be shipped to a PO Box. FedEx Ground only.